Fort St. Elmo after the loss of the ravelin on the left. The chroniclers considered it something of a miracle that the fort was still standing at all. One reason for its survival was distance. Large, wall-smashing guns work best at close range, a fact the Ottomans were happy to exploit. More than that and they lost significant power. Whether from reluctance to bring out the heavy guns against this smaller target, or as Hughes suggests, because the geography prevented their pulling anything up to point-blank range, Mustapha kept his largest cannon a full 180 yards from the fort. The discharges were inevitably both dramatic and loud, but they did less damage than they might have done had the guns been closer. Large cannon, moreover, took a long time to prepare. Smaller bored pieces, if not as destructive, could at least be fired and reloaded in fairly quick order. The knight Fra Girolamo Pepe Napolitano, with little else to do, lay back and counted the shots and “calculated that a day did not pass in which six or seven hundred cannonades were not fired against it.” Anthoine de Cressy claims that on one day, no less than fourteen hundred coups de canon struck the fort, and that by the end it would endure nineteen thousand. The numbers should not be too surprising. The chief object of the cannonade was to chip away a wall faster than the defenders could repair it. Strictly speaking, proper rebuilding was impractical if not impossible. The best that could be done was to buffer the edges with earth or cotton-filled gabions, crude barrels made of rush, that would absorb the blow of the next day’s cannonballs. It was a job best done at night when the sharpshooters were sleeping. Come the morning, the artilleryman’s first order of business was to sweep this padding away as quickly as possible and get back to chipping away at the stone structure itself. In addition, and depending on available material, the defenders could build a secondary wall inside the fort that would come as a surprise to anyone rushing through the breach. However necessary all this preliminary work might be, in the end taking the fort would depend on sheer grit. Any given breach favors the defender insofar as it concentrates the attacking force. It took outstanding bravery to rush the small opening and become an easy target for prepared men. A single cannon of scattershot would cut a wide swath through the attackers. Where a few dozen men might charge, none might survive. The Muslims made these attacks over and over, and each time to no end other than filling the ditch with their dead and dying. It is the mark of a good leader that his men want to go out of their way to impress him. Turgut had this quality. When the Janissaries demanded that they be allowed to take the breach, the corsair forbade it, commending their zeal but noting that the opening was still too small, and that if they gathered to make a charge, they would present Christian gunners and the fast-loading arquebusiers a single, concentrated, easy-to-hit target. He wanted better odds. Not to be deterred, a squadron of Ottoman engineers set out in the predawn hours to see if there were any new weaknesses they might exploit. One place they explored was the north-facing ravelin, the heightened defensive spur that had so concerned Don Garcia de Toledo. Under the pale light of the first-quarter moon, these men scurried down to get a closer look. The ravelin loomed in the dark ahead of them. They approached, ready for the sudden pop of gunfire that would send them back into the shadows, but they heard nothing. The reasons for this are obscure. Some have suggested that the designated sentry had nodded off or been killed by sniper fire, or that the complement of soldiers was unexpectedly small, only forty men, none of them Knights of St. John. Whatever the case, the Janissaries soon realized that this was a target ripe for the taking and wasted no time in getting word back down the line. They consulted (or not) Mustapha for instructions and were ordered (or not) to hurry up and take advantage of this rare opportunity. Accounts of what followed are somewhat confused. What is nearly certain is that before dawn a number of Janissaries trotted back to the ravelin, threw up scaling ladders, then flowed over the sides of the ravelin and through its embrasures (low enough that a man standing on the shoulders of another man could easily get in), and started to butcher the Italian and Spanish soldiers inside. The luckier defenders awoke in the early half-light of dawn only to see their commanding officer lying dead and an ever-increasing number of highly agressive, brightly gowned, scimitar-wielding Janissaries looming above them. In a panic they scrambled up, abandoned their arms, and ran back onto the causeway toward the fort. Fortunately, the ravelin’s defenders were backed up by fifty men under the command of a Neapolitan knight Francesco di Guevara. Guevara’s men were stationed in a trench that blocked the passage between the ravelin and cavalier; and now alerted by the shrill cries of the Janissaries and the shouting of their comrades, they climbed over their barricade down the causeway toward the plank bridge (wood, easy to destroy in an emergency) to take up the fight. Arquebusiers fired on the Ottoman ranks, helping to slow the sudden incursion until more help could arrive. 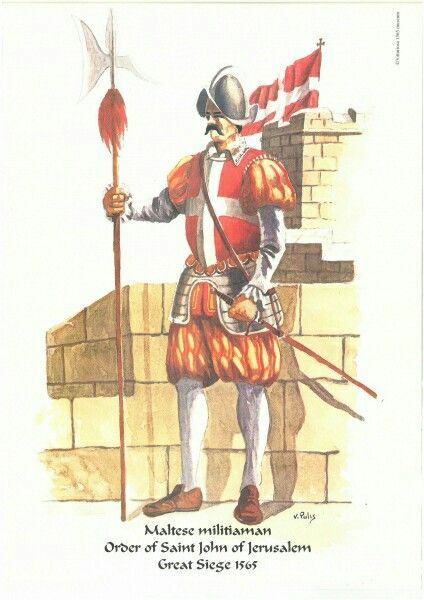 Which it did in short order—the knight Vercoiran, along with his brother Colonel Mas, Captain Medrano, and the Spanish knight and bailo of Negroponte Juan d’Eguaras came out of the fort, across the drawbridge that spanned the ditch, and on through the causeway with the aim of repelling the Turks from the ravelin. Despite their best efforts, it was too late to repel the Turks; word of the impromptu battle had quickly flowed back to the Ottoman camp, and fresh waves of exultant soldiers had rushed to join their comrades. As Guevara and his men hacked away on the narrow confines of the causeway and the wooden plank bridge that connected it to the ravelin, more and more Ottomans had been climbing into the ravelin itself. Soon an excess of Muslim troops was spilling over into the ditch, bringing their force up to the face of the ramparts themselves. Curione, writing in 1565, mentions ladders too short to top the ramparts, but even with that disappointment, the taking of the ditch, even at the cost of five hundred men, was worth it. Because of the fort’s wide angle and the lack of embrasures or crenellations, it was impossible for the Christians to cover all approaches in the ditch except from the tower, and even that had dead zones where the Ottomans could crouch next to the fort’s wall in near total safety. From here, they could both fire on the causeway and work on destroying the foundations of the fort itself. Along the causeway, the battle grew and the sun came up to illuminate the brawl, and for five hours men fought hand-to-hand, chiefly with blades. The Christians had one advantage in the person of Fra Francesco Lanfreducci, who commanded two artillery pieces on the heights of the cavalier. By repeatedly sending scattershot into the mass of Ottoman troops, he was able to clear Ottoman soldiers from the traverse and even, temporarily at least, within the ravelin itself. A great multitude of flags had marked the Ottoman’s taking of the ravelin, but all were blown away in an instant by Lanfreducci’s guns. The attackers, however, were not to be deterred, and Lanfreducci could fire his guns only so often before they overheated to the point where they might themselves explode. Moreover, where the fighting was hand to hand, any shot the gunners let loose risked killing as many Christians as Muslims. As a final problem, early on Lanfreducci was short one of his key cannoneers, lost to a well-aimed arquebus shot. The battle lines wavered over the morning hours, and from time to time, there was some hope that the ravelin itself might be recovered. The Ottomans, however, were already putting their own defense works—wooden fasces, earth-filled gabions, bales of wool—in place against any such attempt. Force of numbers eventually told, and the mass of Ottomans was able to push the defenders across the traverse and back toward the drawbridge that gave access to the fort itself. Guevara, wounded in his arm, and Louis Vercoirin, the brother of Colonel Mas, commanded the retreat, which was so closely engaged that the defenders were unable to raise the bridge. The Turks were on the verge of breaking through, those in front being pushed forward by the men in back, when the defenders on the parapets began to bombard them with a storm of rocks and burning pitch. The defenders also likely used trumps. Trumps were an unpleasant weapon consisting of a metal tube strapped onto long wooden poles. The tubes were filled with a mixture of bitumen, tar, sulfur, and other incendiary material, the stuff the ancients called Greek fire, and all too similar to modern-day napalm. Once the material was ignited, the tubes became flamethrowers, particularly useful for defending narrow spaces, such as the entrance to Fort St. Elmo. Defenders would wave these against the men pressing the entrance. The weapons, once given a chance to warm up, spat out sticky gobs of burning naphtha, which clung to everything it touched. From the changed quality of the screaming, it took only a short time before the men at the back realized what was happening and fled backward, allowing their less fortunate comrades to run from the bridge and throw themselves into the dust or farther off into the water. Dust might have extinguished the matter, but water would not—according to contemporary sources, only vinegar or urine was proof against the stuff. The attacks stopped entirely at about half past noon. The ravelin was now firmly in Ottoman hands, as was the greater part of the ditch. The cost to the Ottomans had been high—five hundred men killed on this day, and as many as two thousand killed since the assaults on St. Elmo had begun (a figure received from runaways). The defenders had lost about twenty knights, and sixty soldiers were killed and many more wounded. Valette ordered boats to bring the dead and wounded back to Fort St. Angelo, and it is a testimony to Turgut’s effectiveness that not one of these vessels escaped unhit. Valette sent Coppier over to determine if the ravelin could be retaken. The answer was immediate and negative. Worse, Coppier had to inform Valette that the Turks were already hoisting goatskin sandbags onto the ravelin in order to raise its heights above the walls of St. Elmo. Balbi, in describing the action, laments the failure of Fort St. Elmo’s design, even going so far as to defend La Cerda’s objections. Mustapha was happy to report this success back to Constantinople and put it down as a matter of careful preparation rather than luck. For Valette, the day’s failure had to be particularly bad news, and not something he would wish to report to Don Garcia, the ravelin’s chief proponent. The situation was all the more galling since the ravelin’s commander was a corporal in La Cerda’s company—the same La Cerda who had suggested the entire structure be mined, handed over to the Ottomans, and then detonated. Cirni suggests that his men, “having lost heart,” simply and dishonorably (vilmente) abandoned the ravelin as more trouble than it was worth—in effect, a strategic retreat decided on the ground without waiting for possibly inconvenient orders from on high. The end was coming, but there remained the question of how it would play out. The ravelin continued to rise as the Ottoman workmen topped it with sandbags made of goatskin, and it would in due course command the parade ground. Meanwhile, Ottoman engineers were at work on a bridge to span the ditch between themselves and Fort St. Elmo. Excess galleys, superfluous as the invasion force died off, were being dismantled and reconfigured to this end. Spars were planted in the ground, supports tied in crisscross patterns to give them stability, flat planks laid horizontally on top, and dirt thrown on the whole to prevent the Christians from tossing incendiary grenades and setting the structure on fire. The passage was wide enough for eight men to advance abreast, and it looked as if it would be ready by June 5. The night before, however, a squad of Christians stole out of the fort with buckets of pitch and began to paint the bridge’s supports. Noise, or the perhaps the smell, alerted the Ottomans still awake, and although the defenders were able to torch three of the five supports, they left the job half finished. Discovered in their task, the Christians scuttled back to the safety of the fort while Mustapha’s men did their best to put out the blaze. By daylight, the fire was out and the bridge was still standing, but sufficiently weakened so that the Ottomans did not wish to risk using it in a general assault. If the Christians had not stopped the Ottomans cold, they had at least bought themselves some more time. By now, Broglio had lost confidence in his ability to command. Seventy years old and fat, he did not carry his age as lightly as Turgut, or Valette, or Mustapha. During his tenure at Fort St. Elmo, according to Curione, he had repeatedly told Valette that the fort was in fine shape, its men superhuman in their energy and faith. His own, however, had fallen short. He offered his resignation to the grand master, which was accepted. D’Eguaras was also in bad shape, suffering from an arrow wound to his hand. His request was to remain with his men, even if that required his taking a lesser role. Overall command of Fort St. Elmo, something of a hot potato, was ceded to Colonel Mas. The guns kept chipping away at the fort, the defenders kept patching it, the tally of dead and wounded on both sides increased, and the bridge lately damaged was soon almost whole again. A renegade managed to cross the lines and bring Valette welcome news from the Ottoman camp. Turgut had been ill and confined to bed for a few days. The seventy to eighty galleys that patrolled the approaches to the island were beginning to put a strain on manpower.6 Valette countered by redeploying Giovanni Vagnone and a hundred of his men from Mdina to St. Elmo, proof of his determination to hold onto the fort and keep faith with the men inside it. By contrast, the men inside the fort were losing confidence. The dead and, worse, the scattered parts of the dead—the arms, legs, and shredded viscera—lay stinking in the hot sun, blackened and fly-covered for lack of opportunity to retrieve and bury them. Detritus from the smashed walls flowed into the ditch, lessening its usefulness as a defensive structure and setting up a pathway for the inevitable assaults. And the guns kept firing. Miranda, Broglio, and d’Eguaras all now agreed that remaining on the peninsula was a pointless gesture, even a strategic error, a poor trade-off of brave men for an inevitable defeat. The case for holding on might have made sense earlier, but no longer. One more time Medrano crossed the night water, past gunfire that was now taking a considerable toll on Christian boats, and one more time clattered through the narrow streets to the council chambers at Fort St. Angelo. He found Valette alert—the grand master didn’t sleep a lot these days—and ready to discuss the situation. The two spoke together first in private, and Medrano was persuasive enough to get a hearing with the entire council. He gave an affecting account of the men’s gallantry and endurance. The spirit was willing, but facts were facts. Medrano reported on the quick work of the Turkish sappers, of the ditches they were filling in, the bridge they had constructed. He described walls scarcely worthy of the name, crumbling faster than could be repaired, the heavy casualties among those making the repairs. He spoke of the wounded and exhausted men, of the frightening accuracy of the Janissary sharpshooters, of the ravelin now mounted by two cannon capable of firing into the fort, of the sudden necessity of digging trenches within the fort because there was no other place of safety. He told of the cavalier that swayed under the constant force of cannon fire, of the two remaining guns on the eastern spur (they would be knocked out and their crews killed the next day). The fort, he said, was doomed, and the men with it unless the council permitted them to return to Fort St. Angelo. The report was all very compelling, but except in the details, it was not news; and ultimately, it was not as compelling as Valette’s need for more time. Malta was the last bastion before Sicily, the last outpost of the Order, which in his own lifetime had lost both Rhodes and Tripoli. Malta was the last chance for an international force of Christian men to show that they could come together against the expansive embrace of Islam. 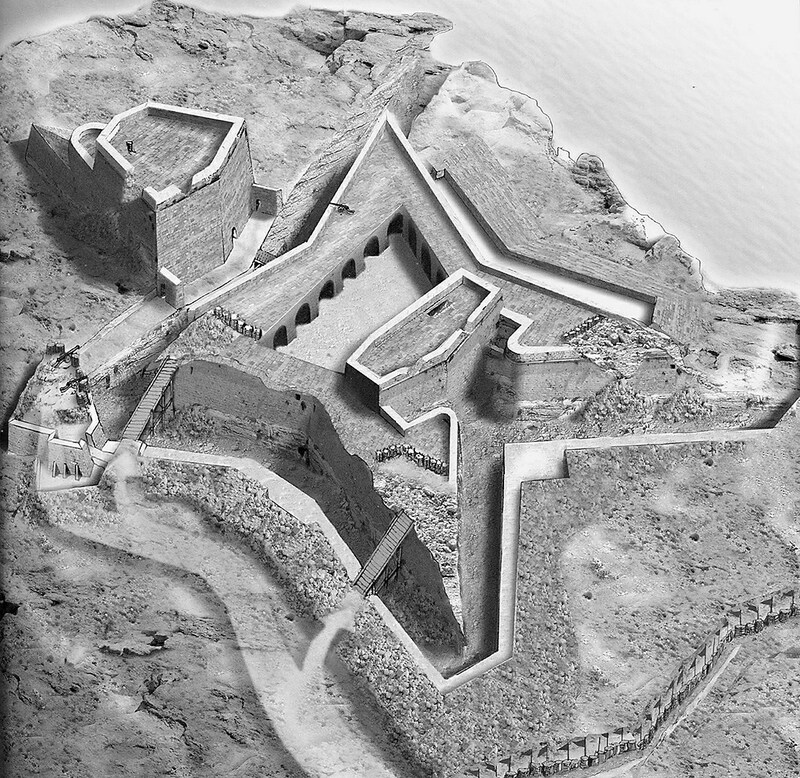 Just as Malta was the shield for all Europe and as such for all Christendom, Fort St. Elmo was the shield of Malta. The longer Valette could tie the Ottoman forces down on this small piece of real estate, the longer he would be able to bolster Senglea and Birgu, the longer Mdina might survive as the main supply route for information and reinforcements, and the longer Don Garcia would have to gather and launch a relief force. Valette believed that he had no choice. 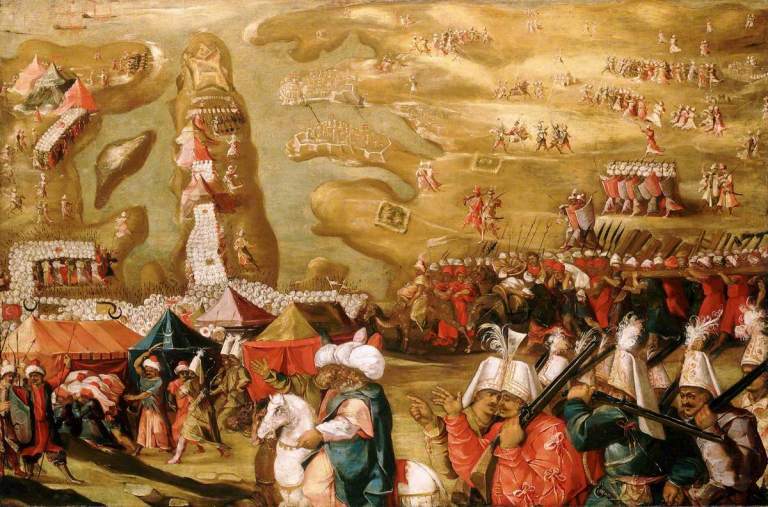 The job of the men at St. Elmo was to make the taking of it long, expensive, and painful to the Ottomans. He urged Medrano to go back and convince his colleagues to hold on just a little bit longer, with the cold promise that Don Garcia had promised relief soon—as indeed he had. Valette understood what the wretches on St. Elmo were going through. As a veteran of Rhodes, who better? But however much he sympathized, he wanted these men to realize that they, and everyone else under his command, were dedicated to Malta’s preservation. The soldiers at St. Elmo might die in its blasted ruins—and in fact probably would die there. But all men must die, and few are given the chance to do so for the sake of such a greater good. Valette was firm. Fort St. Elmo must be defended to the last man. Medrano left Fort St. Angelo in the predawn half-light and made the trip back across the bay. As he appeared on the parade ground of Fort St. Elmo, all those who could get away from their posts gathered around him, eager to hear what the council had decided. The message did not go down well. While the older officers and men accepted obedience and blood, the younger saw nothing but pigheadedness in Valette’s decision. The latter argued that the grand master was not here on the ground, facing incessant cannon fire and arquebus bullets, he had not grappled hand to hand with Janissaries and corsairs, only barely keeping the fort under a Christian flag—how could the grand master possibly appreciate what they were going through? What they were going through was about to get a good deal worse. At daybreak, the Muslim cannons started up their usual gunpowder symphony, slowly chipping away at the walls and almost incidentally taking Christian lives. This was routine. What was not routine was the sudden crescendo of both artillery and small arms fire just as the sun hit midday, followed by the shrill ululating voices of a thousand Muslim soldiers preparing to overrun the fort en masse. The defenders could not risk a glance over the wall to see what was coming, but they could hear the enemy approach. A wave of intense loose-robed men passed over the bridge and scrambled up the unsteady slope of collapsed masonry, shouting at and cursing the men of St. Elmo; Christian arquebusiers rose just enough to lay down a heavy cross fire into the enemy’s flanks, killing those at the van and leaving a low wall of dead and dying soldiers to slow those coming behind. Christian arquebusiers worked in teams, one man at the ridge firing, a second reloading and passing up fresh guns, and so increased the rate of fire. Those Muslims who managed to stumble over their fallen comrades and loose rubble, who dodged bullets and ignored the minor scrapes or punctures, and who got to the breaches were met with a sharp, agitated hedge of steel pikes and battle-axes. One after another the Ottomans saw the expert, almost balletic, moves of grim Spanish professionals, the swift flick and twist that propelled the razor-sharp edges and hooks of those elegant weapons. An unfortunate Muslim soldier, dressed for mobility and heat rather than for personal safety, might find a hand or a foot sliced off, his face or torso flensed, maimed for life rather than launched to paradise. This entry was posted in Crusades, Ottoman, Siege by MSW. Bookmark the permalink.